There have always been those who have attempted to conduct their businesses according to their own high principles — religious or political. Robert Owen is one example (see Stuttard, 1992) and the Quaker Cadburys and Rowntrees are another. But, in many ways, their concern, and the concern of others like them, was to set an example. It was a practical rather than a theoretical concern. 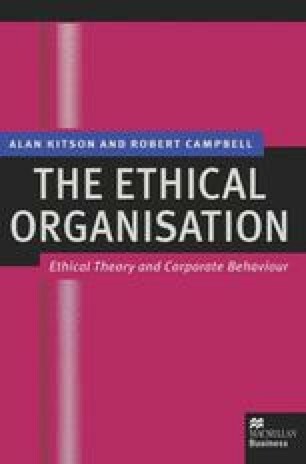 Thus, despite the undoubted fact that such people have existed through the centuries and that, for just as long, philosophers and ethicists have occasionally turned their attention to the ways in which business is conducted, we cannot say that the story of business ethics begins with them.